If you are into flash photography, chances are that you already had the chance to use a silver umbrella. It is a light modifier that can be used in many different situations and won’t break the bank. I own myself a “no-name” 150cm silver umbrella and, although it is by far one of the cheapest light modifiers I own (it cost no more than 100 Euro), it is also a piece of equipment that I could not do without! A group portrait with some nice punchy light? Let’s use the silver umbrella! 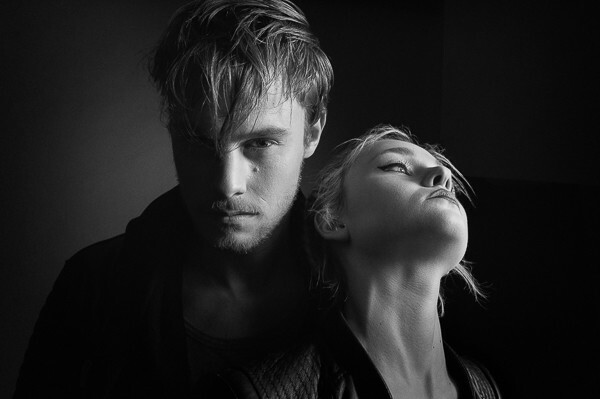 A fashion shoot with texture-rich outfits? Let’s use the silver umbrella! A location assignment where you want to stay very light? You guessed it, let’s use the silver umbrella! 150cm is large and, depending on your needs, a smaller (or even a larger) one may be better for you. For instance, have you ever tried using a huge umbrella in a low-ceiling room? Well, I tried… wasn’t the best experience for sure… But there is probably a silver umbrella out there that is perfect for your shoots and that is very affordable too! If affordability is not your thing, you probably had a look at some parabolic reflectors. These are basically still silver umbrellas but they are much deeper and this shape makes it much easier to direct and control light. 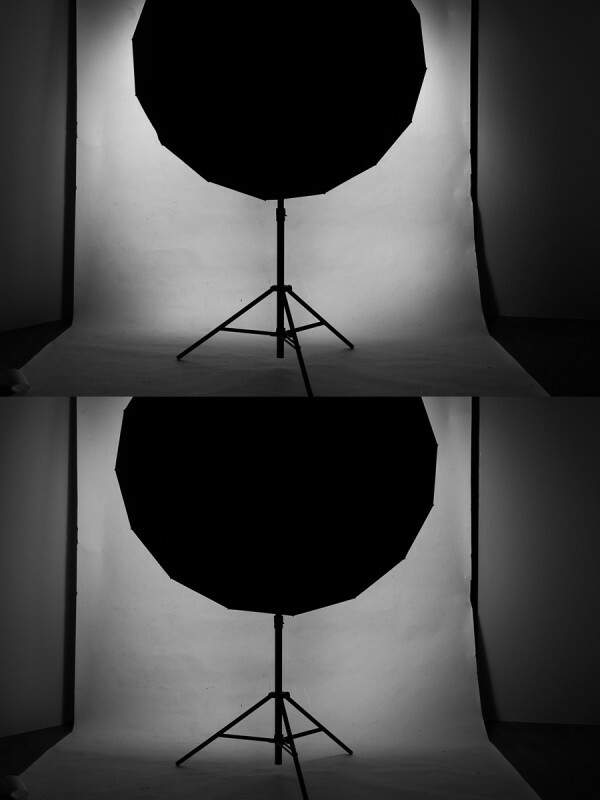 They also allow for a greater control over the characteristics of your light, since you can place your flash in different positions inside the reflector (and in some cases you can even use them as softboxes); you can do this also with normal silver umbrellas but, since they are not as deep, you do not have the same degree of control. There are still not than many models of parabolic reflectors on the market and those are pricey (ranging from something less than one thousand euro to several thousand euro). In my opinion, the biggest disadvantage of a silver umbrella is exactly the fact that it is very difficult to control light with it. For this reason I was very excited when Multiblitz sent me a sample of their 165cm Parabrolly! A Parabrolly is a deeper silver umbrella, not as deep as a parabolic reflector but deeper than a standard umbrella. Thanks to the extra depth it should make it easier to control and direct light. An umbrella is an umbrella and we all know how one looks like. As said the nice thing of this model is that it is deeper than the standard ones. 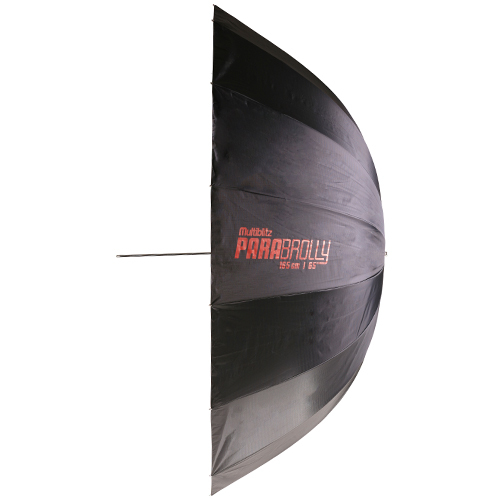 The Parabrolly comes in two sizes, 130cm and 165cm. A carrying pouch is included, a diffusor can be ordered separately. Multiblitz is known as a premium equipment manufacturer and the prices do reflect that. At the time of writing, in Germany a 165cm Parabrolly costs 340 euro. To make a comparison, a no-name 150cm silver umbrella can be found for less than 50 euro. As said, I was very excited at the idea of testing the Parabrolly. I love the punchy light of my silver umbrella and the idea of being able to better control it, thanks to extra depth, sounded really promising. Maybe my expectations were too high and I had been checking for too long the available parabolic reflectors, cause when I first unpacked the Parabrolly I was, well… I was a bit disappointed! Now don’t understand me wrong, as you would expect from Multiblitz, the modifier is very well built and looks durable. The umbrella opens smoothly and is stable, the silver coating is uniform and does not look like it will ever wear out, and even the carrying pouch has a very good quality. So why was I disappointed? I was expecting a bigger difference in shape compared to the standard umbrella I already had. Although when you put the two side by side the difference is quite evident, the Parabrolly is around 7cm deeper and we all know that with lighting equipment even small shape differences can mean very different results. So the real question is: does the shape difference make any relevant difference in terms of light? as an added bonus, you just need an umbrella mount to use it. it is very sensitive to wind, especially when used without a diffusor. Trust me on this one, you want to be very very careful when using any umbrellas outdoors! more possibilities to tweak the light’s characteristics, as there is extra space inside the umbrella to place the light source. The last aspect is not really relevant in this case. In fact 7 additional centimeters do not really allow for much additional tweaking; as mentioned, for this you would need a much deeper parabolic reflector. Let’s see now if the other two factors play in favor of the Parabrolly. If you make a light more directional you also enhance the contrast in your photo. In fact directional light wraps less around your subject and creates more shadows. But does the additional depth of this modifier really make a difference? Well, after testing it for a few months I still find it hard to give a clear answer to this question. 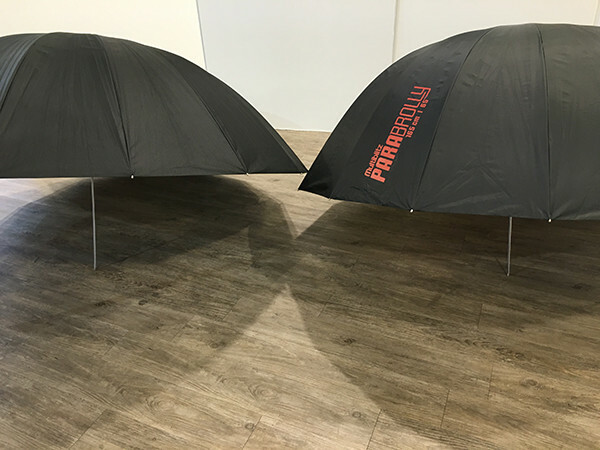 I did notice that the light produced by the Parabrolly is more contrasty that the one produced by my other umbrella, but the difference isn’t that big. And also other factors come into play here, e.g. any differences in the coating between the two modifiers and the fact that they are actually not exactly the same size (165cm vs 150cm), not to mention that in order to do a precise comparison you need to place the umbrellas (and the light sources inside them) in the exact same position in relation to the subject! So I will let you judge for yourself from the photos below. What I think is more relevant here is that you do get a really nice and punchy light with the Parabrolly. If the light is noticeably different from a cheaper umbrella is a harder question to answer; in my case it was a bit more contrasty but it also depends on the umbrella you compare it to and on how you use it! First photo taken with the 165cm Parabrolly, second with the 150cm umbrella. The first one is more contrasty but I will let you judge how big the difference is. Also notice how the background gets less light with the Parabrolly. Both photos are straight out of camera. This is were I found the Parabrolly shines in comparison to my standard umbrella. For instance in studio the Parabrolly makes it easier to light your subject without lighting the background (depending of course also on the distance between subject and background and on your lighting angle). In fact the Parabrolly lights a narrower area than the other umbrella. Depending on how you use it, this can be either positive (e.g. you do not need to place it so much to the side of the subject in order not to light the background) or negative (e.g. it can be harder to uniformly light a group). I would say that if you like to precisely control your lighting, you will love the additional control that the Parabrolly gives you. If you just like to setup your light and forget about it, probably the Parabrolly will annoy you, as you need to be careful about what gets lit, and chances are that you will end up with parts of your photo that are too dark. As is usually the case, whether the Parabrolly is something for you or not really depends on how you want to use it. Let me assume that you are already familiar with (silver) umbrellas, as you probably are. If you like to use them but wish that it was easier to control the light they produce, chances are that you will love the additional control that the Parabrolly’s extra depth gives you. If instead you ended up not using silver umbrellas at all, cause you do not like the light they produce, then you will probably not like the Parabrolly either as it is indeed still a silver umbrella. You should also think about how much control you want on your light and about how big your budget is, as a parabolic reflector will give you even more control! If my assumption was wrong and you have no experience with (silver) umbrellas, then I would recommend that you first of all get a cheap one (or try it somewhere) to see if you like it at all. If you like it but wish for more control then the Parabrolly (or even a parabolic reflector, if you have the necessary budget) may be exactly what you need! The Parabrolly is available through the Multiblitz Website.